Wailly technology LTD. established in Hong Kong in 1994, acting is a collection of active and passive electronic components and module development and design of scientific and technological enterprises. Authorized representative sale of Elan Microelectronics, Elan Microelectronics Weltrend Semiconductor、Epistar Corporation、Macronix International、Tontek Design Technology、Alcor Micro、Chesen Electronics 、OmniVision Technologies、Mars semiconductor such as electronic company products. 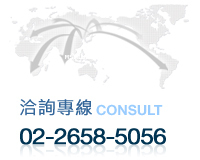 Wailly company also have set up branches and offices, in Taipei and Shenzhen, Shanghai, Hsianghai, Wuhan in China . After 18 years of development, Wailly have overall complete planning in research and development to sales of strict management system, and sale electronic components and products throughout Taiwan, Hong Kong and the Chinese mainland, Europe and other major electronics companies. Wailly have power engineering development support in all branches of science and technology , and set up the product research and development centers in Shenzhen and Shanghai, professional R &D team, technical support and service for customer needs, undertake customized in line with market demand, creating more win-win benefit. Company " Moral, Pragmatic, Innovative " as business philosophy, with confidence, with infinite enthusiasm to meet the brilliant future.